Creating a Mindfulness “Toolbox” - Energetic Juniors - Contact Us! As a Child and Family Therapist and Yoga and Mindfulness Instructor, I frequently get questions from parents who are at a loss for how to incorporate mindfulness into their family’s busy schedule. With summer upon us and schedules a bit more open, I am sharing some of my favorite methods, which are simple and easy to incorporate on a daily basis. One of my favorite techniques to use with children is the mindfulness “toolbox”. With the help of children and their parents, we create a stash of tools that can be used to build connection and self-awareness, practice breathing and learn more about managing our feelings. Below is a list of nine of my favorites. Blow Bubbles: Blowing bubbles is a great way to practice deep breathing. Have your child inhale slowly and then blow a big bubble. Teach your child that the bigger the bubble, the deeper the breath. Once children grasp the connection between bubbles and breathing, they will develop an understanding of how their breath can be used in times of stress. Do a Guided Relaxation: Check out this guided relaxation from Little Flower Yoga. Try a guided relaxation before bedtime if your child is having a hard time calming down before bedtime. Do Yoga: Yoga helps children learn to manage their emotions, body and mind- just to name a few. Yoga also provides an opportunity for children to move their bodies, which is the single best way to process stress hormones. Draw a Picture: For children who enjoy art, the process of making is a powerful tool. I like to take construction paper and help children create their own sketch book. They enjoy taking ownership over which colors of paper to choose and how to decorate the front and back covers. Let this book be their private space to draw what they’re feeling. This can be a great way of tracking fun events from the summer months. Get Outdoors: This doesn’t require much explanation. Sunlight is good for all of us, and none of us get enough, so get outside! Listen to Music: Turn on a favorite song and dance with your child. You’ll be amazed at how quickly you will both be smiling. You can also make a calm down play list and let your child have quiet time to relax and listen on their own. Make a Glitter Jar: Glitter jars are a wonderful way to be mindful in the moment. Create a special jar, and let your child choose the color of their glitter. Explain that they can shake their jar and then watch the glitter settle. Calming glitter jars help children learn to manage their emotions. Learn how to make your own here. Snuggle: We all know that hugs feel good, and sometimes, a hug can make huge difference to a child who is feeling worried, sad or upset. Check out 9 other reasons why snuggling is good for your children (and you). Write: Writing is a great way to teach your child how to explore their feelings. They can write or draw about what they feel or try to work through problems they’re having with a friend. Remember to make it fun by letting your child pick out their journal and a special pen or marker they can use to write in it. I hope that you and your family find these tools helpful. 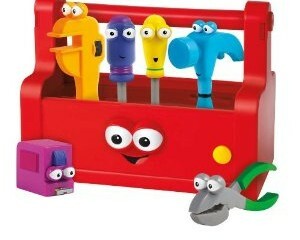 I would love to hear about your child’s favorite tools! Michelle Paget, LCSW RYT RCYT is a child and family therapist and registered yoga teacher who specializes in integrating elements of yoga and mindfulness to help build emotional resilience. She has a private practice in New York City where she specializes in working with preschool, elementary and middle school-age children and their parents. Her approach blends yoga and mindfulness with art and play, helping the children and families she works with to feel more connected and balanced. Michelle’s specialty areas include: academic struggles, anxiety, behavioral strategies, depression, family transitions, and social skill building, and she also offers mindfulness and yoga for kids, parenting coaching and workshops. Follow her on Facebook: www.facebook.com/michellepagettherapy.